These are made with yarn and attached to iron clips. Each bow is 9cm x 4cm. 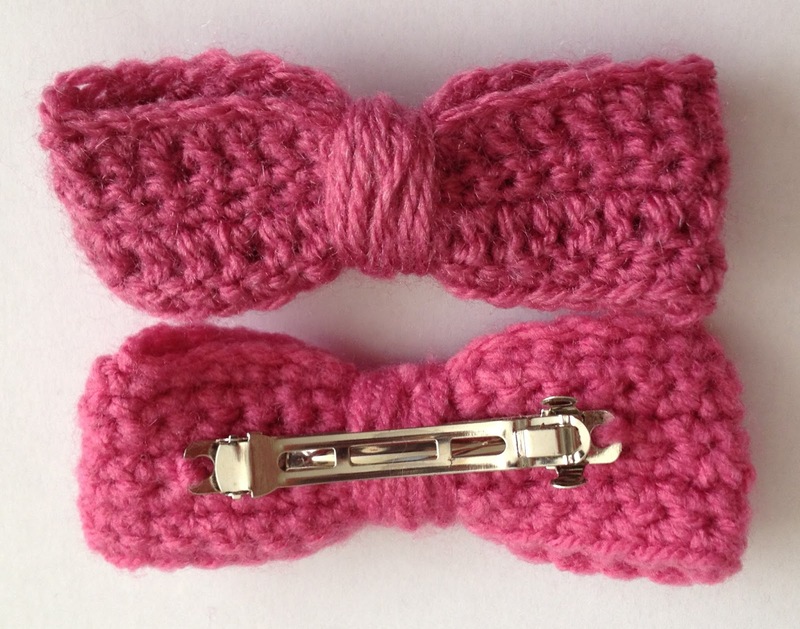 Due to the handmade nature of these items, each bow may vary slightly from those pictured. If you'd like to order more than one, send me a message and I'll set up a custom listing for you. These bows can be posted anywhere in the world so if you're not in the UK send me a message for postage costs.